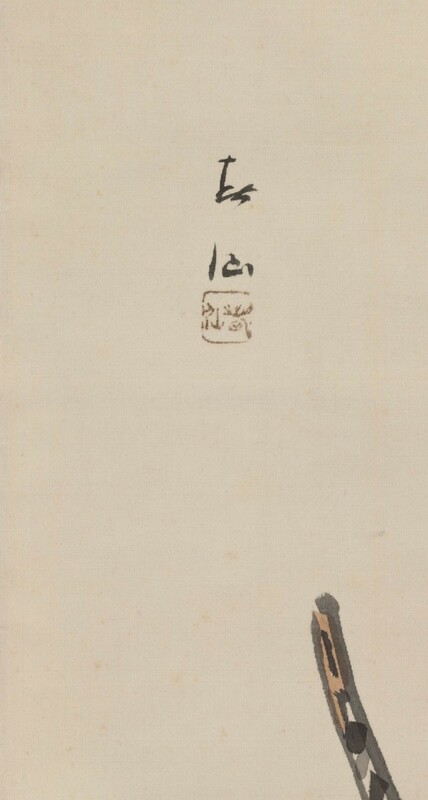 Description: A painting on silk of presumably Ichikawa Danjuro X in a Shibaraku role with behind him a stage assistant holding up his extensive robe. 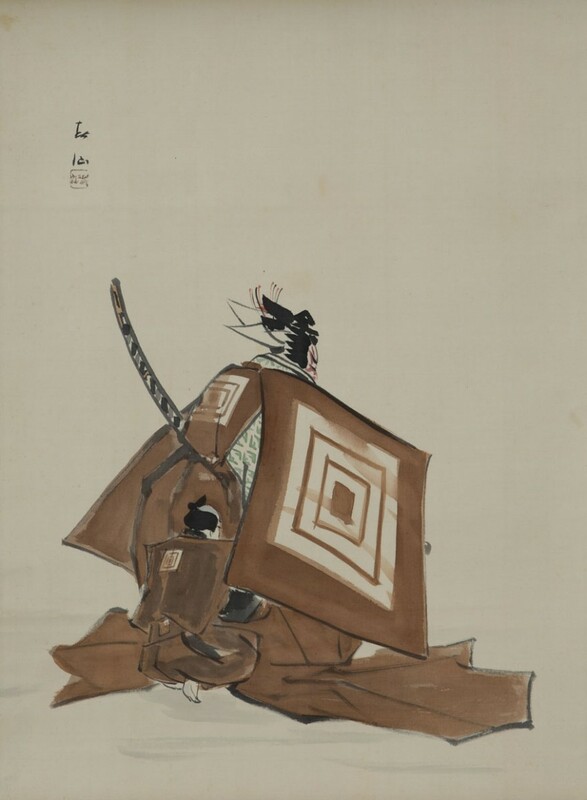 Shunsen began his art career as a Nihonga-style painter and later became known as the prime printmaker of the 20th century in the actor genre. Condition: In very good general condition with original mounting. Not original box.